Our product range includes a wide range of profile sheets, c purlin, profile roofing sheets, z purlin, steel deck profile sheets and hr standard plate. 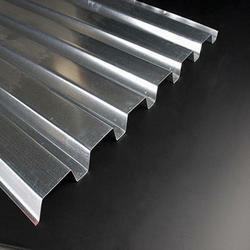 We are the leading trader and supplier of Profile Sheets. We offer these color prolific sheets to our valuable clients at competitive market rates. These sheets are manufactured according to client. Further, we offer these profile sheets to the customers at market-leading prices. We are the leading supplier and exporter of C Parlin in India. These are manufactured with state of the art technology and high grade raw material to provide unmatched quality. These are highly popular among our valued client's due to durability and price. Profile Roofing Sheets offered comes in different thickness options of up to 1.5mm as well as in widths of 1200mm or as specified by the customers. 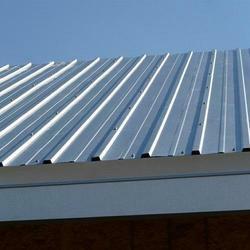 These roofing sheets also come in lengths of up to 6m as well as in industry standard options of ASTM, JIS and others. 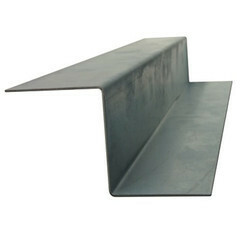 Some of its features include option of different production techniques like cold rolled, hot-dipped galvanizing and others; use in construction steel plants, warehouses and refrigeration; suitable usage as roof/wall material; provide for waterproof performance and others. We are the leading supplier and exporter of Z Parlin in India. These are manufactured with state of the art technology and high grade raw material to provide unmatched quality. These are highly popular among our valued client's due to durability and price. Steel Deck Profile Sheets offered can be made available in different color options as well as in non-cracking and non-tearing finish. Further, our well developed testing facilities also allow us to ensure products fall in compliance with stringent finish demands. Some of its features include provides for greatest binding force between concrete and steel deck; high strength bearing capacity, provide a firm platform support, helps in improving rigidity of floor, prevents cracking of cantilevered plates among others. HR Standard Plate offered comes in quality construction finish and can be made available in thickness options of 1.8 to 50mm, width of 1250 to 3600mm as well as in lengths as demanded by the customers. 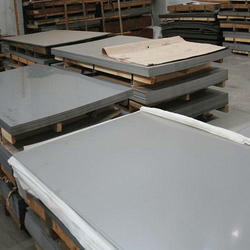 With choice of hot rolled/cold rolled processing, these plates can be provided with surface treatment choices of galvanized, coated and others. Some of its features include available as per different industry standards like ASTM, EN, JIS; suitable for use in construction, machinery manufacturing, shipbuilding, bridges and other areas; choice of material grade options including 304, 304L, 316, 316L and others. We are a leading suppliier and distributer of T- IRON , mild steel T- IRON univarsal iron of from Ghaziabad , India.We have a large stoke of T IRON.